Restaurant for Two: a new feature where I bring a friend to a restaurant and we write a review together. Thanks to my main squeeze for joining me at Osteria La Madia! 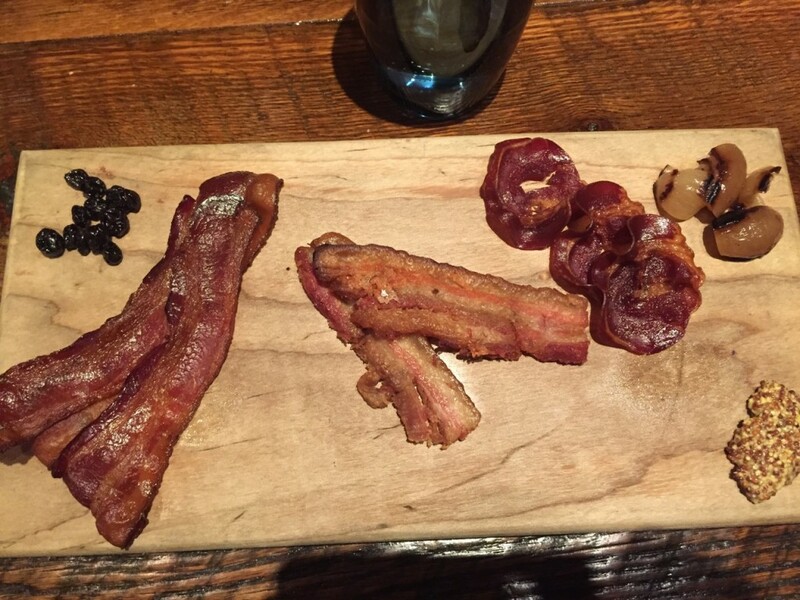 Here in Chicago, we’re spoiled for choice of brunch places. 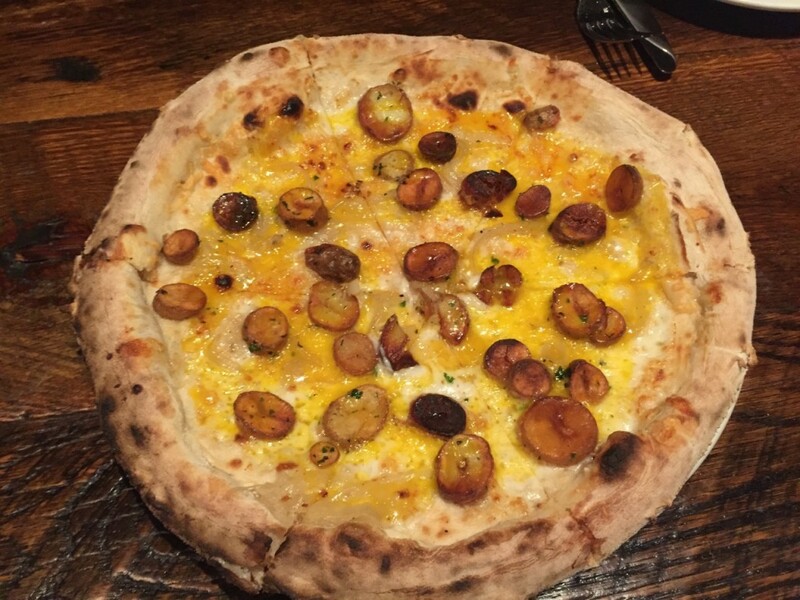 If you’ve taken advantage of the city’s new happy hour specials, then you’re probably familiar with Osteria la Madia’s killer deals and awesome pizza. But did you know that it’s also home to a delicious Italian brunch that deserves a top spot on your Chicago brunch bucket list? Osteria la Madia is one of those brunch spots where a good conversation is just as accessible as a good mimosa. And, thank the brunch gods: the mimosas and bellinis here are spot on. Fresh-pressed juices are served with Italian prosecco for a classic pairing. The restaurant follows a simple recipe: authentic preparations and fresh seasonal produce. In fact, more than 20% of the items on the menu rotate weekly based on what’s ripe and coming to market. Many of the ingredients are prepped on premise, with particular attention paid to the bread. The difference could definitely be tasted in their wood-fired pizzas. The dough is made from imported Italian double-zero flour and then slow-risen over 3 days. This allows the crust to be flavorful and substantial, without giving up the airy texture. The pizzas are a Neapolitan style, but the Roma influence is apparent in its crunchy crust. The various toppings are rich and decadent. Whether you come for brunch or happy hour, I would highly recommend trying a few different ones and sharing them with a large party. 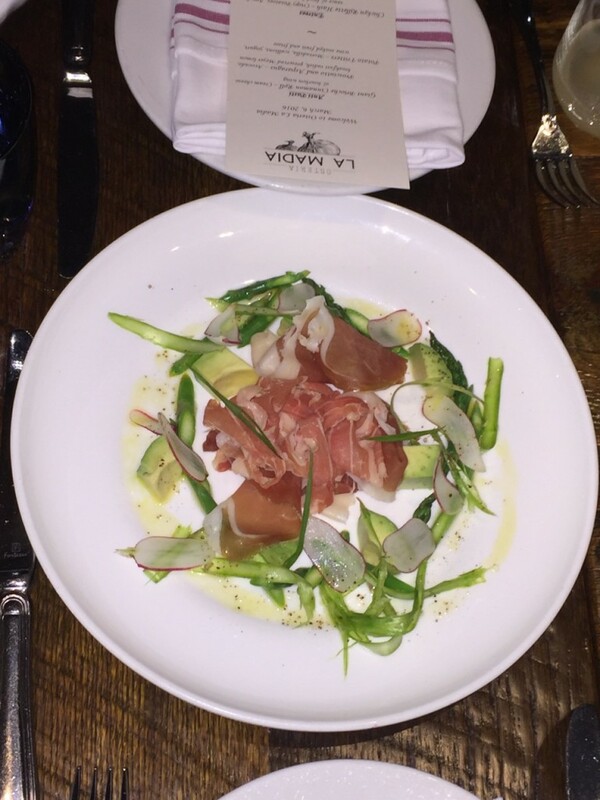 Another highlight of our recent brunch date was the prosciutto and asparagus. The name is deceptive in that the texture and flavor combination is so much more than the two-ingredient name. Osteria la Madia is a place of depth. Whether it’s the 75 wines available by the glass, the seasonal rotations in their menu, or the long list of charcuteries, small plates, and pizzas, you can always be adventurous with your orders. Count yourself lucky if you live nearby and can afford to be spontaneous with your visits. 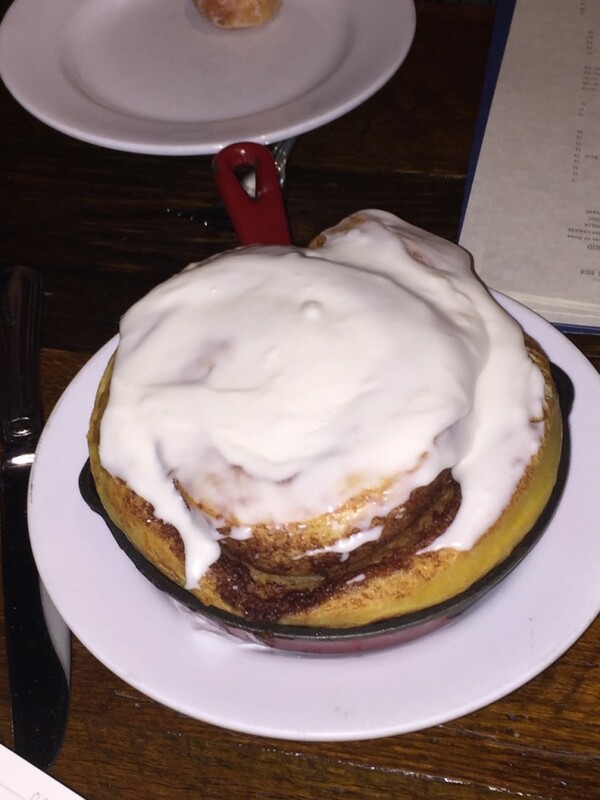 Looking for a delish Chicago brunch?